Blue laser, 473nm Laser, 2.5W IR driver inside (surplus item). Sorry! We don`t have MSDS! Sorry! We don't have MSDS! 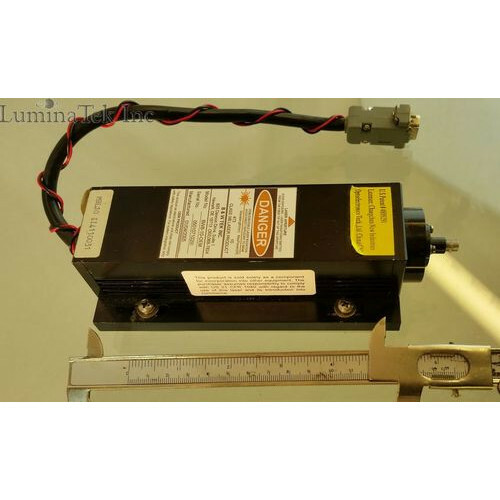 B&W TEK BWB-10-OEM 473nm blue Lab-Style DPSS Laser, 10mW, blue line. 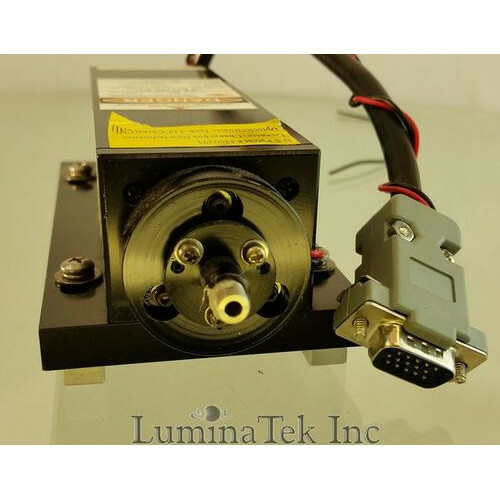 This laser comes from surplus spectrometer assembly. 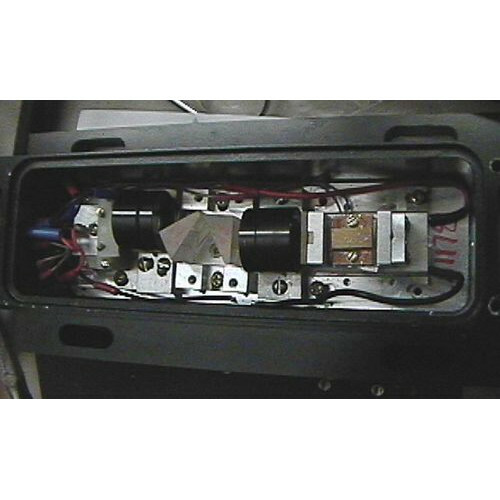 It has IR solid state laser driver at around 982nm and all sorts of optics. One of the major component inside is also the frequency doubler based on crystal. The assembly is cooled by Peltie coolers, on multiple stages to keep frequencies and performance stability. We know pretty much everything on this unit, including programming code for digital driver controller (sold separately). 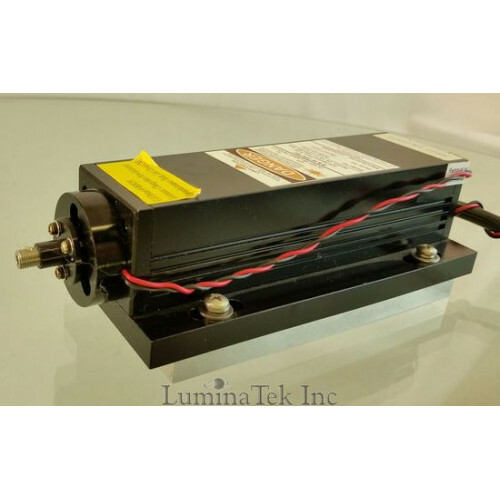 The main source of light is the IR , semiconductor driver inside, which is around 2.5W maximum energy performance. 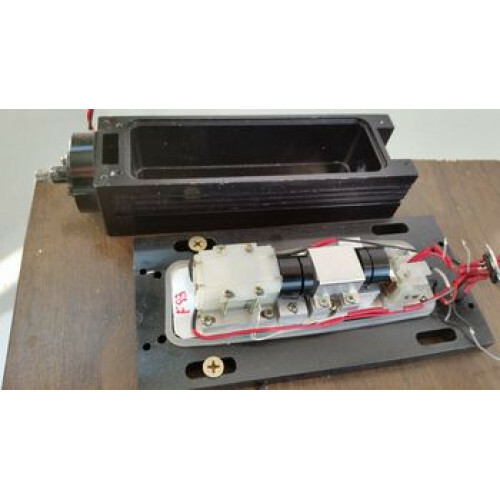 Typical power for the laser diode is around 1.5W. Inside it has been throttled to 30-50mW. It was never run at that level and digital board controller, which was part of the whole spectrometer, drove it at around 1/10 of the maximum level. So the laser component itself should be in a good state condition. We sell it as is, no returns. We have tested for power on. Comes with the power supply and driver board. If you have any questions, please feel free to ask by clicking "contact us". More information is provided in our forum.